Learn more about the mission, capabilities and operations of Alhamd Publishers by clicking here. Review a listing of the nutritious books, which we have already published. Also preview the upcoming titles which are currently in the process of being published by Alhamd Publishers by clicking here. Learn more about the dedicated authors whose works are being published and promoted by Alhamd Publishers by clicking here. Find all the information you need to order books published and/or marketed by Alhamd Publishers by clicking here. Yes, we have the answers to your questions! Please review Alhamd Publishers compilation of the most frequently asked questions and their answers by clicking here. Review our policies regarding E-books and Audio Books by clicking here. Review the upcoming events, workshops and seminars with which Alhamd Publishers are actively associated by clicking here. Review Alhamd Publishers policies regarding returns, shipping etc by clicking here. Check out the ‘Press Kit’ for our latest book. Please also review our various “Press Releases” by clicking here. Printout the useful Forms that make life easier for everyone by clicking here. 1.The Call Of Modernity And Islam. March, 2012. 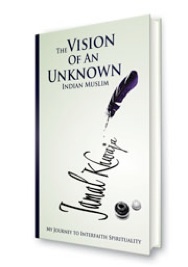 2.The Vision Of An Unknown Indian Muslim. July, 2012. We welcome comments and suggestions for improving our products and services. Please do drop us a line. We invite you to revisit our website soon and look forward to being of service. Alhamd Publishers LLC., P. O. Box 2363, Culver City, CA 90231, USA.